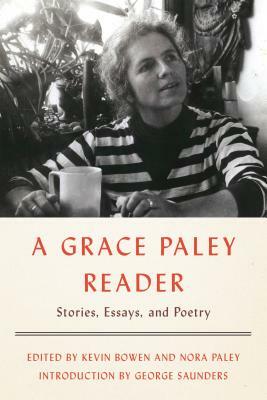 "A writer like Paley," writes George Saunders, “comes along and brightens language up again, takes it aside and gives it a pep talk, sends it back renewed, so it can do its job, which is to wake us up.” Best known for her inimitable short stories, Grace Paley was also an enormously talented essayist and poet, as well as a fierce activist. She was a tireless member of the antiwar movement, the civil rights movement, the tenants’ rights movement, the anti-nuclear-power movement, and the Women’s Pentagon Action, among other causes, and proved herself to be a passionate citizen of each of her communities—New York City and rural Vermont. Grace Paley, born in the Bronx in 1922, was a renowned writer and activist. Her Collected Stories was a finalist for both the Pulitzer Prize and the National Book Award. Her other collections include Enormous Changes at the Last Minute and Just As I Thought. She died in Vermont on August 22, 2007.